Le Club Accorhotels has launched a new double points promotion for ibis stays in Africa and Indian Ocean. 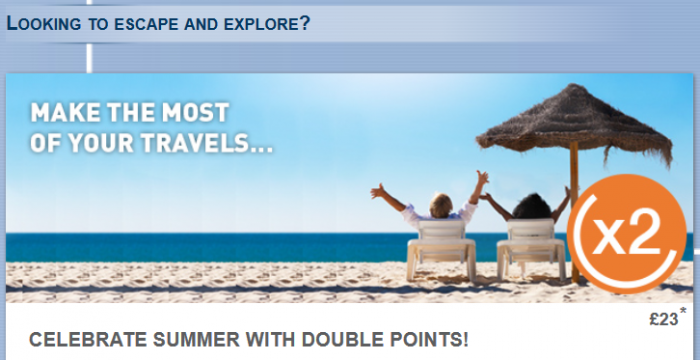 You can earn double points for stays between July 15 and August 31, 2015, that are booked from July 13 to August 13. It is certainly hot time of the year for stays in the region. You usually don’t earn the full points for ibis stays so this would help. 1. General Le Club Accorhotels terms and conditions apply to the “African & Indian Ocean ibis + points X2” offer. 2. This offer is valid for any “African and Indian Ocean ibis” stay done between “14/07/2015” and “31/08/2015” in one of the participating hotels, and booked between “13/07/2015” and “13/08/2015”. 3. This offer entitles Le Club Accorhotels Loyalty members, regardless of their status, to benefit from earning “twice” points in one of the participating hotels in “Africa” and “Indian Ocean”.